As I mentioned in my interview with Karen, one of the biggest hurdles for me in writing erotica (or anything else for that matter) is my precocious daughter. She is a reader. As I write this, she is sitting on the floor with a book of bible stories. I’m not sure why she’s reading that, it has illustrated keywords and she knows all those words…. Maybe I don’t have a more mature one for her. Did I mention she’s five? Yeah. Read her birthday cards on her second birthday. She can read. Which brings us back to my problem. Have you ever had that guy on the bus or the train, or God-forbid a spouse, that reads over your shoulder? Doesn’t it drive you insane? Now imagine someone doing that while you’re writing something. Once she corrected my spelling mistake when I made a typo. I kicked her out of the office and locked the door. Do you know what my favourite thing with in 6 feet is? Well, actually it’s my daughter because she’s sitting beside me, but if she wasn’t, it would be the lock on the door. It’s my special “writer-in-residence” sign. Keep on walking, I’m working in here. My daughter has been stretching her bedtime further and further. When I started writing, she went to bed at eight. That gave me a glorious 2.5 hours for writing! Now she gets her pyjamas on at 8. Then its snack requests and kicking around for another thirty minutes and bed at 8:30, no I need to go pee, 8:45, no, I need a drink of water, 9:00, will you tuck me in? So my writing time keeps shrinking. This is the place where I tell you that have the most awesome boss in the world. When she hired me she only wanted someone part-time. I really wanted a job in my town and in my field, so I hashed it with the hubs and we figure, sure, I can work part time and do errands, cleaning, cooking, etc. on those days off. There were only two of them. It was agreed that if money became a problem, I could pick up another part-time job. Well, it’s happened. I have a second job, writing. Not only is my boss totally on board with this, she’s down with me taking a day off here and there where I need it for things like conventions and signings. She is awesome! Part of the reason she’s coming over tomorrow to play MahJong. We don’t have a typical boss/employee relationship. Okay, I think I’ve meandered enough. Bottom line, my daughter isn’t allowed to read over my shoulder. I wish I could disallow her from the office entirely, but that’s not going to happen. One day, she’s going to be a writer. She already tells the greatest stories in the world, like “I’m going to sleep in my own bed all night” and “I’m going to bed right now!” Uh-huh. Sure you are. Oh happy day! My good friend and author, Shay Fabbro, stopped by my little pub for her blog tour! Check out her post and leave a comment and you may one of the TWO LUCKY PEOPLE WHO WILL WIN ONE OF HER TWO YA e-BOOKS! Now, without further ado, ladies and gents, please welcome Dr. Fab to the pub!! When I ventured into writing, it made sense for me to stick to what I knew and loved: scifi/fantasy. 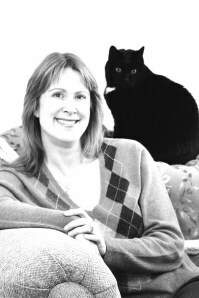 My first novels were in this genre and while there were some tricky things to it, the ideas flowed naturally. Then one day while getting ready for work and staring into the mirror, I had a thought. Wouldn’t it be cool to have the reflection change to someone else’s face? Of course the idea of being terrified never entered my mind. I stared at my reflection (which only had make-up on one eye, mind you) almost as if I could force my reflection to change. It never did. I thought about the idea all the way to work and by the time I got to my desk, the idea for Dangerous Reflections was taking shape. Now, for this book, the heroine was going to be very different. Rather than being an alien from some distant world, or a magic-wielding elf from a forest, she was going to be an average, ordinary, human girl. 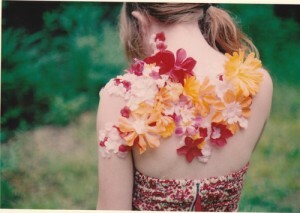 And to add some depth, I decided to have her be a fifteen year-old girl rather than an adult. Little did I know how out of my element I was heading! I have never really read much young adult (YA). When I was younger, I tried to read Judy Blume and all that but it just didn’t hold my interest (epic fantasy was the only thing that kept me turning pages). 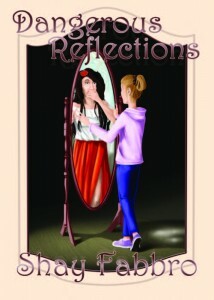 When it came to starting on Dangerous Reflections, I tackled it like I did my scifi/fantasy novels. And boy, was that the WRONG way to do it! I had the opportunity to send several sample chapters to an agent (through someone’s blog) and she gave me some invaluable advice. I made the huge mistake of trying to write a YA book without understanding what elements make a YA book, well… a YA book! The biggest thing I had to deal with was the point of view (POV). For my scifi/fantasy books, I had many different POVs since I had more than one main character. Each of them is important and showing the world through their eyes in a vital component in letting the reader catch a glimpse into their motivations and helps with empathy. Some of my characters seem harsh and despicable until you read things from their POV. I personally think the real world needs to take a lesson in POV; if we spent as much time seeing the world from an “enemy’s” eyes, we may find we have much more in common than we realize. Now, in the case of YA, the POV is the main character and that’s it. I was making the mistake of adding the POVs of Alex’s mother AND aunt. This lovely agent pointed out that teens don’t care about what adults are thinking or feeling, in real life and especially in what they read. I had to use some creativity to let the possible adult readers (and they WILL care about what the adult’s motives are) know what makes the adults in the story tick. I ended up having Alex overhear (well, more like eavesdrop actually) a conversation between her mother and her aunt where she learns some very disturbing news about her father. And it worked brilliantly! The reader then knows what caused the rift between the mother and aunt, and they then get to read about Alex’s reaction to hearing an adult conversation that was clearly not meant for teen ears. Haven’t we all done that at some point? You get all hot and sweaty and can’t breathe. You don’t WANT to hear more and yet you can’t move from the spot. I also had to really think about what motivates teens and think back to when I was that age (and it was a long time ago! LOL) and what things were important to me. And it was much different than what’s important to an adult character. I had to dredge up some painful memories of how I treated my folks and times when I hurt them deeply because I lashed out about some stupid thing or other. But that’s the thing! To a teenager, everything is the end of the world and it’s all about the drama. What books have you read recently that really captured the YA voice and pulled you into the story? 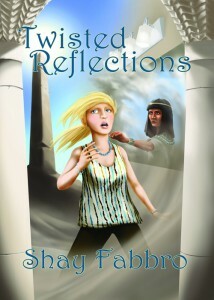 Two commenters will be chosen at RANDOM to win one of two e-books: Dangerous Reflections or Twisted Reflections! It's Wednesday, friends! Today is the day that I open my blog to the author I featured last week. Rachel wanted to share her thoughts on the self-published movement and I think you're going to find a lot of what she has to say interesting. Just please remember that everyone is entitled to their opinions and if you find yourself disagreeing with Rachel, myself or anyone in the comments that you express your differing opinion with respect. So without further ado, here is Rachel Abbott's post. I must start by saying that I am a huge fan of indie e-books – but I needed to get your attention! I love the fact that writers everywhere are now able not only to publish books, but to take the vast majority of the revenue too. Unlike in a traditional bookstore, each book is given the same prominence – the same amount of “shelf space” – so even though most indie publishers, myself included, are working to a tight budget for publicity and have to rely on their own hard marketing efforts, I think it’s a great step in the right direction. Happy Monday and Happy New Year, friends! I thought I’d start the year off by letting my dear friend Charlie hijack my blog for his post. Ok, lets face it, I’m still hung over from the weekend so anything from me would just be the random letters my forehead hit as it slapped against the keyboard. So, instead of making you read that drivel, Charlie was kind enough to supply content for my blog today. Thank you, kind sir, I owe you one! Without further ado, here is Charlie’s post, enjoy! They say “write what you know”. It’s good advice. It’s meant to enhance the credibility of your writing, make it sound more authentic. The painful reality though is that even if you were a lawyer like John Grisham, chances are your firm didn’t try to have you murdered. You still have to make a leap from the mundane, everyday life to the tales of mystery, murder, mayhem, undying love, loyalty, and passion. I came from a background as a professional headhunter. I recruited top talent from competitors. Does that make me uniquely qualified to write about covert government agencies and gunfights?